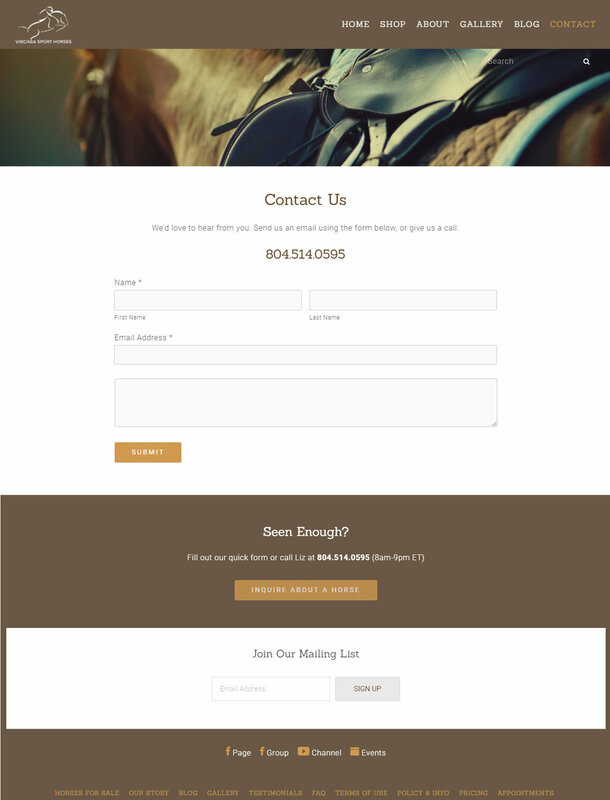 Virginia Sport Horses (VSH) specializes in selecting and training sport horses. They offer the widest selection of sport horse prospects, at the most reasonable prices, available on the East Coast. Virginia Sport Hoses was looking for a dynamic, easy to navigate, easy to manage inventory and mobile friendly site. We redesigned their website from top to bottom, fully responsive site, logo revamp and custom Commerce platform.